Want to be notified of new releases in gotokatsuya/RSSTS? 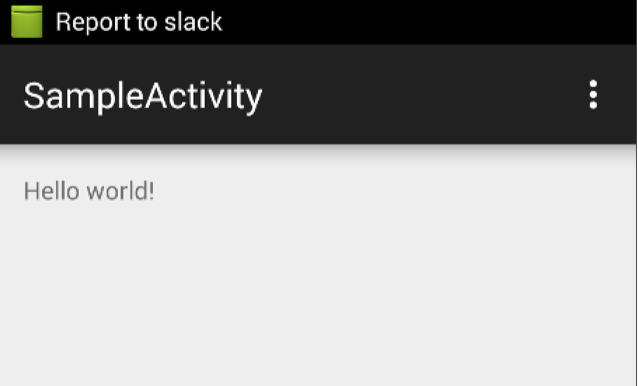 You can report a screenshot of your application to slack channels that you like. When one activity starts, RSSTS's notification will be shown. When you tap this notification, Screenshot will be sent to a slack channel. You should look this sample code. Application.ActivityLifecycleCallbacks is used by sample code but it is released from API-14. When the api that you use is lower than 14, you have to use compat-ActivityLifecycleCallbacks. Check this sample.